Struggling to decide whether to wear a tiara or flowers in your hair on your wedding day ? Why not wear a hat or fascinator? Here at Hostie Hats we have beautiful range of ivory and cream bridal fascinators, hats and headpieces to add the finishing touch to your look on your special day. Choose a feather trimmed bridal fascinator to add a touch of glamour to your wedding dress, or channel the 1950’s and 60’s with a stunning ivory pillbox hat for an elegant vintage look. All our designs are hand made to order with British materials and trimmings. 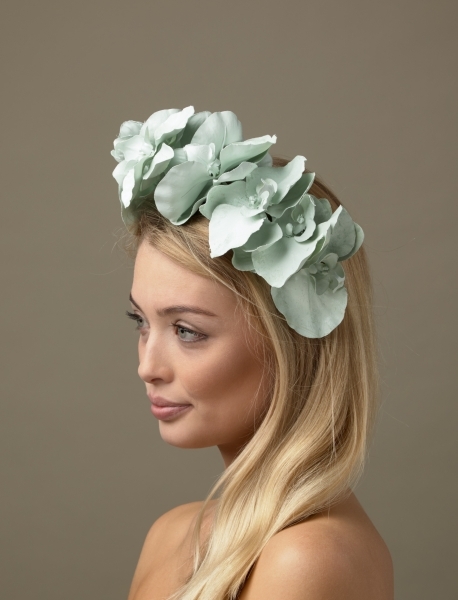 Choose a hat or fascinator from our range and we can produce this for you in traditional bridal, white, ivory, cream or any other colour of your choice. Just select your preferred colour or please get in touch if you would like to order a colour swatch to approve before you make your selection.